1/16 US Browning .30 Cal Metal Machine Gun Discounts Apply ! 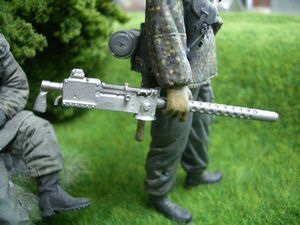 1/16 US Browning .30 Cal Metal Machine Gun. Add that extra detail to your 1/16 model or RC tank with these very detailed metal parts. Each piece can be painted and weathered. 1 piece set.